The captain of the LAM Flight 470 that crashed in Namibia on November 29 intentionally caused the accident, according to preliminary data from the investigation. 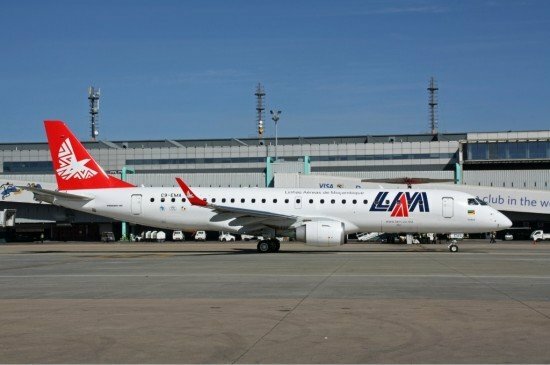 LAM Flight TM-470 operated on a scheduled passenger flight from Maputo, Mozambique to Luanda, Angola. It was flying at FL380 when the airplane entered a sudden descent. All 33 on board were killed as the Embraer 190 jet impacted the ground in the Bwabwata National Park in Namibia. Preliminary investigation results indicate that the accident was intentional. Minutes before the crash the co-pilot left the cockpit to the aircraft lavatory. The captain then manually changed flight altitude from 38,000 feet to an altitude of 592 feet below ground level. He did this three times, according to investigators. He also retarded the throttles to idle. He also repeatedly manually selected the maximum operating speed (Vmo). One the cockpit voice recorder sounds were heard of someone pounding on the cockpit door. The investigators stated that the reasons for these actions are unknown at this time. Rumours on several web sites suggest the captain’s son had died about a year prior to the accident. In the period leading up to the accident he is said to have had serious marital problems.